At Distinctive Dental Services, we care about the overall oral health of our patients. When our patients get mouth sores, we evaluate what they’re eating and doing on a daily basis and make the necessary changes to improve their oral health in Lake Jackson. By following these 5 tips, you too can avoid the discomfort of mouth sores and even increase the speed at which you heal from them. 1. Our first recommendation is to eat soft or pureed foods. Don’t worry, you won’t have to eat baby food—plenty of adult dishes fit the bill. This includes cream soups, yogurt, hot cereal, mashed potatoes, and puddings. If you are prone to mouth sores, you may want to stick to these foods. 2. Our next recommendation would be to keep your meals bland for a while. We know it’s not as fun as having those spicy wings, but watch out for overly spicy, tart, salty or acidic foods while you have a mouth sore. These foods can cause your symptoms to flare up again. 3. Another piece of advice is to keep it cool. Only eat meals served at room temperature or chilled, as hot foods can also exacerbate the problem. 4. Use a straw so that whatever you are drinking can bypass the mouth sore altogether. This dental technique also helps with other aspects of oral health in Lake Jackson as well. We hope that these suggestions will help you the next time you suffer from a mouth sore. If you are looking for a dentist with superior knowledge of oral health in Lake Jackson, consider Distinctive Dental Services. We have been serving Lake Jackson since 1998. 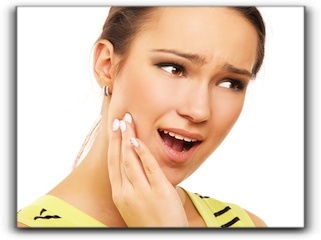 We also offer services such as cosmetic dentistry, IV sedation, and gum disease treatment.